The leaders set the tone of the company. Strong leaders are instrumental in the success of any organization. They set the organization goals, designs company strategies; manage the workforce and the clientele. What qualities to look for, while hiring the managers. Without any doubt, they should be technically strong. But apart from that, they should possess strong leadership qualities. The candidate should be able to motivate the team and increase the performance. 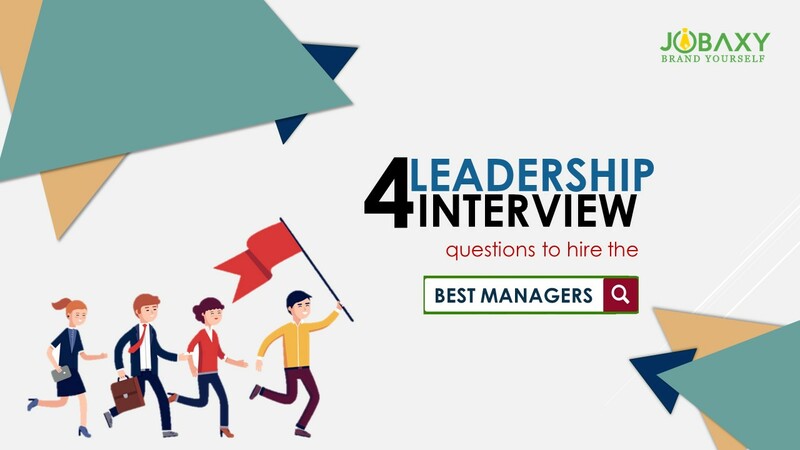 Given here are a few interview questions that will help you assess the best managerial candidate. Why are you the best manager or why should I hire you? The answer that the candidates give for this will speak volumes about the candidate’s leadership qualities and management style. This will give you a fair idea about the candidates’ personality and you can judge whether or not he suits your organization. If you are looking for certain specific leadership quality, ask the candidate to demonstrate it with proper examples or give a hypothetical situation and gauge the candidate according to the answer he gives. Ask them about any aggressive deal they have successfully accomplished. The answer could help you know the aggression of the candidate. How you do deal with Failure? Tell me when you failed as a leader. No one of us is perfect. As humans, we all are bound to make mistake but the key here is how you accept the mistakes and learn from them. Ask the candidate about a situation when they failed as a leader. Also, ask them how they could have avoided the failure. There answer could help you assess if the candidate possesses the qualities you are looking for in your manager. No two fingers of ours are same and neither in the team, the most crucial role of the manager is to keep these individuals together as a team and extract the expected performance from them. Ask the candidate about how he motivates his team. If the answer that he gives is in accordance with your style of working you can zero down on him. Sometimes there are certain members of the team who are a problem child, but a good manager should be able to handle such employees in a positively. Ask the candidates if they have faced such a situation and how they dealt with it. It could be a good test of their composure and patient behaviour. What is the managers’ role in the team? This is one of the important questions to ask the candidate. No doubt, the manager should be a team player, but he should be able to maintain a certain distance and work independently. There is a thin line between the two. Individuals who are too independent will never be able to create the team bonding, while the one who is too much team-oriented may not achieve the required authority. So while hiring the managers, look for candidates who are able to maintain this delicate balance. To conclude the great managers have soft leadership skills that set them apart. Use this interview questions to find the best candidate for your organization. For more interview questions and interview tips visit us at jobaxy.com. Jobaxy is the best online portal in the Philippines pioneering in video resumes.